Below is another instance of notification -- the THIRD KNOWN VICTIM . . . and there are obviously MANY more. 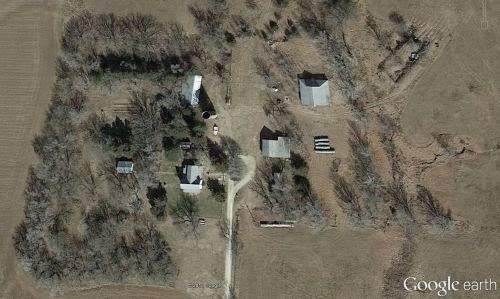 The house you mention on your website.. sorry I wasn't specific.. 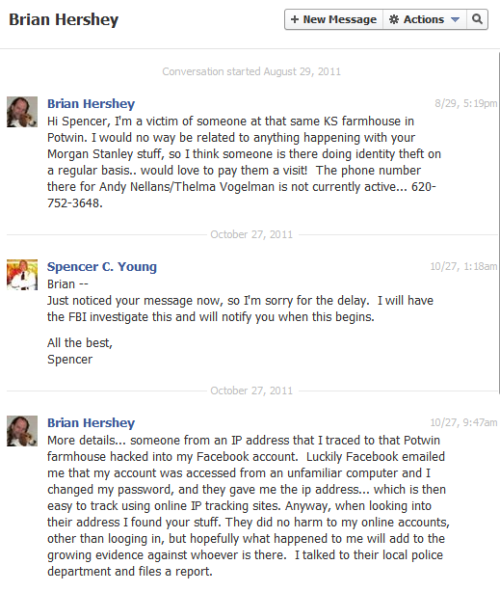 I sent you a facebook message too... 8652 NW 120th, Potwin, KS. My facebook account was hacked by someone living at that address. What do you mean by a "hacked" facebook account and what "house address" are you referring to? I had nothing to do with it, but I can help you identify who is responsible.